London. The city than manages nearly 8 million people and still has space for approximately 243 galleries! was a thin brush stroke on brown paper, and that Degas Ballerina is really quite small. Such wonderful work, and to see it in reality gave me goose bumps. 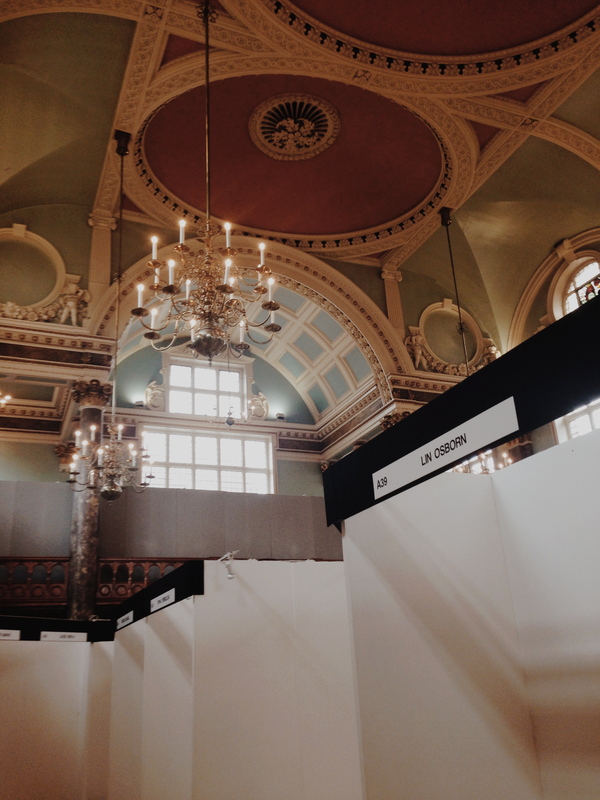 The week in London exhibiting at the Chelsea Untitled Art Fair was a first time for me. A chance to see where my work fits into the local genre and to find out what British artists are up to. 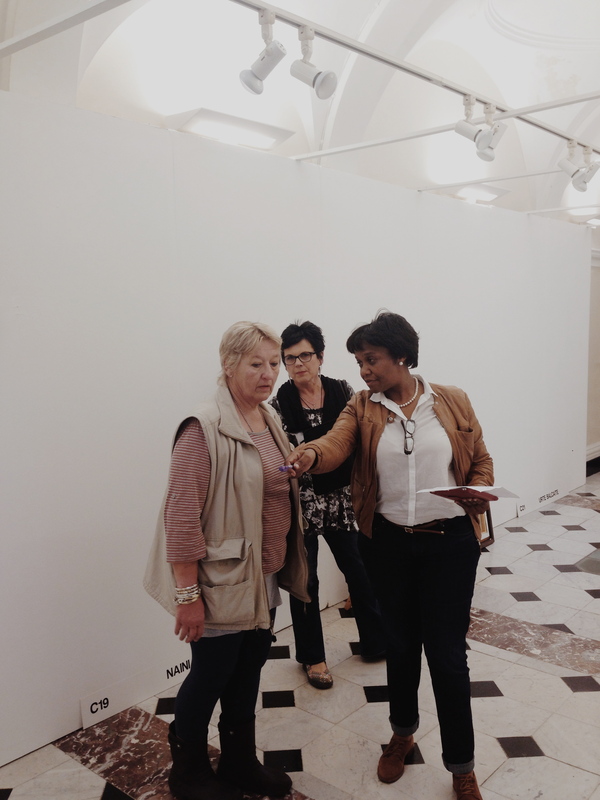 When not at the exhibition, I used every available minute to rush into galleries, museums, parks and cathedrals. The Saatchi gallery has an interesting exhibition of African art. Quite edgy and not cliche at all. Very refreshing to see. I particularly liked the giant ant room which reversed ones perspective by making large ant like forms which climbed the walls and gathered in corners near the ceiling. The National Art and The V and A Galleries of course were a must, where I even marvelled over the mosaic floors and massive architecture. London is a place where new and old building has merged wonderfully. Great aesthetic sensitivity is evident in buildings such as the British Museum. Even walking the streets one is aware of progress showing respect to tradition. St Pauls is best seen while crossing the Thames on Millennium Bridge, and incredible structure that telescopes the cathedral. Cathedrals are wonderful custodians of art while showcasing the ingenuity of architectural engineers of hundreds of years ago. I believe a culture is best explored through its places of worship and its art. Indeed, a level of civilisation can be measured by the value given to art. Parks are also a rich source of sculpture, freely and readily available to all. I also enjoy graffiti and the way fine art has crept into traditionally design/graphic areas such as advertising. Images of peat bog remains discovered in England came my way via National Geographic. I found these tortured figures inspirational and hence my small sculptures, Peat 1 and 2 were on display. How wonderful therefore, that I was able to find the carefully displayed Lindow Man at the British Museum. There are only a handful of such remains worldwide so I was very thrilled to see one in real life. Very inspirational. I use the images as a metaphor for life, the pressure of everyday pushing and stressing us almost to breaking point, however, the inner structure is strong and although life may change us, we remain essentially who we are throughout the years. My work at the exhibition was well received, especially the Polyhedron and the ever popular Fish. Due to the exchange rate, it was possible to keep my work in reach of most buyers and even those who just came to look, surprised themselves by walking home with an artwork. 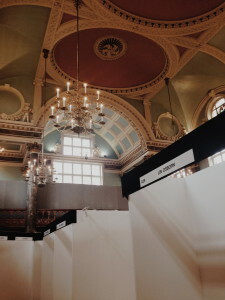 Would I exhibit in London again? By invitation definitely. I would also love to spend three months painting in London. I found the seemingly mundane fascinating, and I wondered why everyday people were not used as subject matter by British artists. Nudes and landscapes seemed to be the main theme. I thoroughly enjoyed work by Lucy Storrs, Christina ten Bosch, Helen Butler and in particular, Serena Rowe. It was a pleasure to exhibit alongside them.